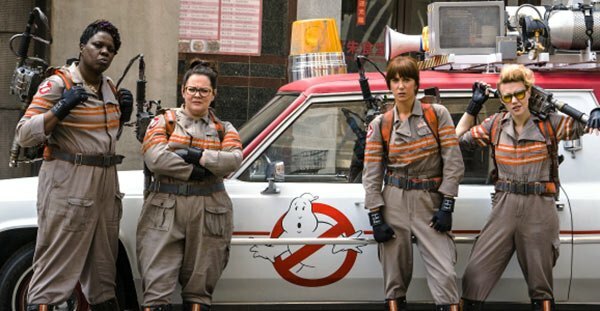 Holllywood, CA, United States (4E) – Many have been skeptical of the success of the all-female reboot of the hit film “Ghostbusters” and actress Kristen Wiig , who is one of the leads in the movie, seemingly agreed with the fans of the flick. Wiig was recently interviewed by Entertainment Weekly and she shared, “You can’t get better than the original.” “Ghostbusters” was first released in 1984 and made more than $295 million worldwide, which was around 10 times than its budget. Due to the success of the film, a sequel was made in 1989. The two films starred Bill Murray, Dan Aykroyd , Ernie Hudson, and the late Harold Ramis . They will reportedly be making cameos and appearances in the all-female reboot. Also part of the “Ghostbusters” 2016 film is hunk actor Chris Hemsworth . He will be playing the role of the receptionists of the all-female group. His role was played by Annie Potts in the original movie. Potts is set to make an appearance alongside the other original cast members. Sigourney Weaver will also be featured. Aykroyd , Hudson, and Murray recently appeared with the cast of the latest “Ghostbusters” film on “Jimmy Kimmel Live!” and Murray shared that he appeared in the reboot because he know the girls are funny. Director Paul Feig also released a statement saying that the “Ghostbusters” reboot does not have anything to do with the original plot. The new “Ghostbusters” film is out in theaters this July 15.